We have sometimes heard the question “Decentralised Marketplace? Is DEX a new Startup?” Well, yes and no. 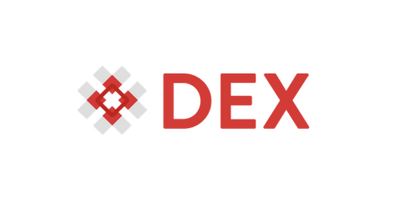 The decentralised marketplace is indeed a new product but DEX has been around since 2013 with a prominent presence in the data community, in Singapore and internationally. 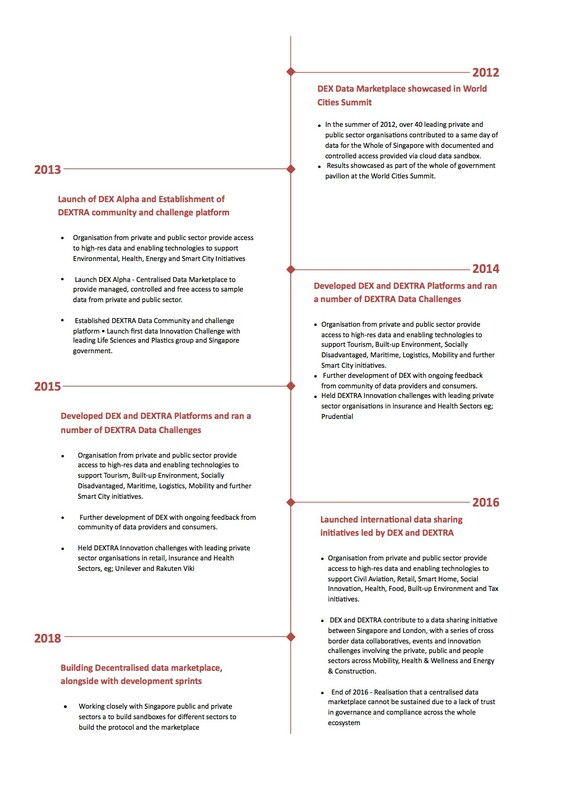 We have partnered with many sector leaders and MNC’s to catalyse innovation through data challenges and hackathons, and here’s a handful of examples that we hope will give you a gist of what we have achieved over the years. We worked with Unilever for a data innovation challenge to predict the consumer preference. We worked with Prudential to build a model to predict the cost of seeking treatment for individuals. We worked with Rakuten Viki to build a recommender system capable of generating personalized video suggestions for each user. We created a large data sharing programme between London and Singapore called Data City/Data Nation. Here’s a timeline to sum it all up for you. DEX’s CEO Chirdeep, back in March 2017, reached out to Trent McConaghy, CTO of BigchainDB, to fulfill the vision of building a decentralised marketplace (read here to find out why!). DEX will be using a community-powered approach to provide open source software, tools and services to build a new, decentralised data economy. As a connective hub in a global network of enterprises, partners, and open source communities, DEX helps create relevant, innovative technologies that liberate data for AI and will revolutionise the global data economy. In addition to the work with the BigchainDB team as founding partner of Ocean Protocol, DEX will offer on-demand, support, training, and consulting services. With the vision in mind, we have been building the #dreamteam for this to come true. Here’s finally the opportunity to introduce the team to you. We would love for you connect with any of us, reach out with ideas, partnerships, questions, or comments. We believe that open-source is the only way forward and our community will always be at the heart of what we do. As we delve into creating Ocean Protocol and beyond, we are on a lookout of amazing and enthusiastic individuals with different skill sets who believe in revolutionising the data economy through blockchain-enabled technology. If you share this very same vision, contact us at contact@dex.sg and tell us how you can contribute to this revolution!